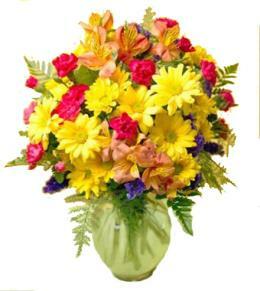 Imagine a warm, sunny day intense with color. 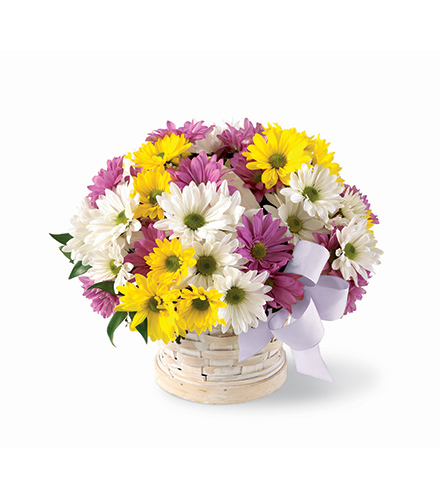 We've gathered those colors together - deep lavender daisy pompons, sunny yellow daisy pompons and bright white daisy pompons - into a round white-wash basket trimmed with a light lavender bow. 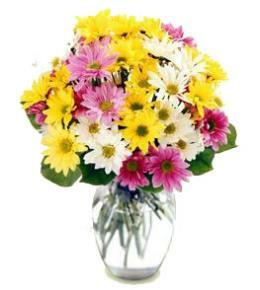 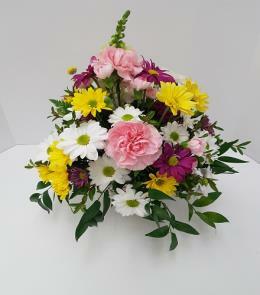 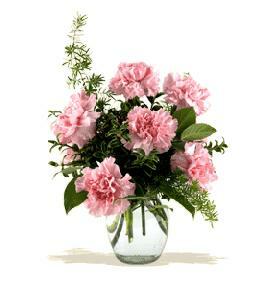 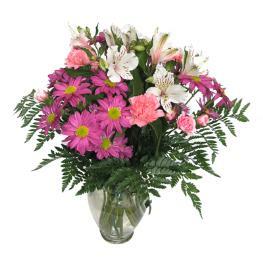 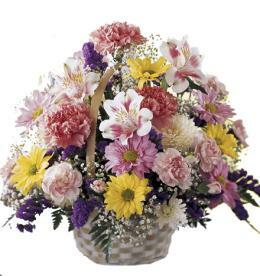 Perfect to celebrate any occasion.. Daisies and Mums - Sunny Skies Daisy Basket Bouquet.